Five mornings a week, Pete Scholz stops into the Starbucks on Mohawk Boulevard or Coburg Road and spends an hour reading, studiously, as if preparing for a test. The No. 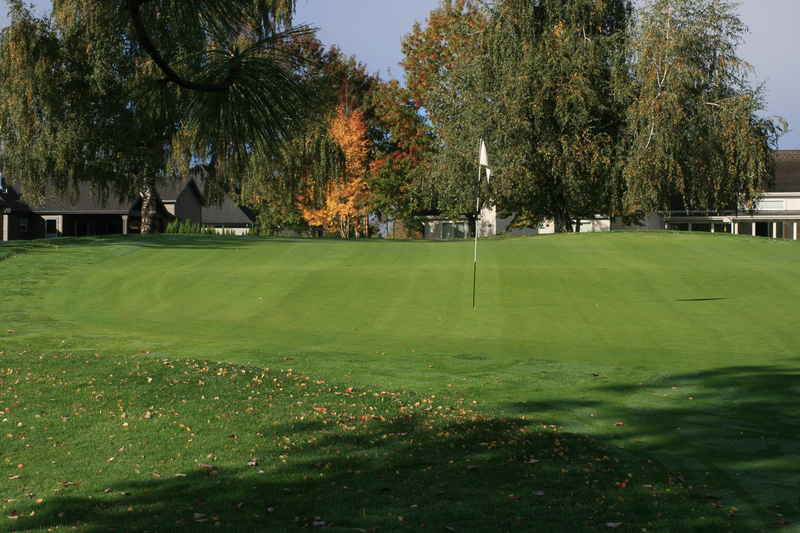 4 hole at Emerald Valley, prior to remodeling. 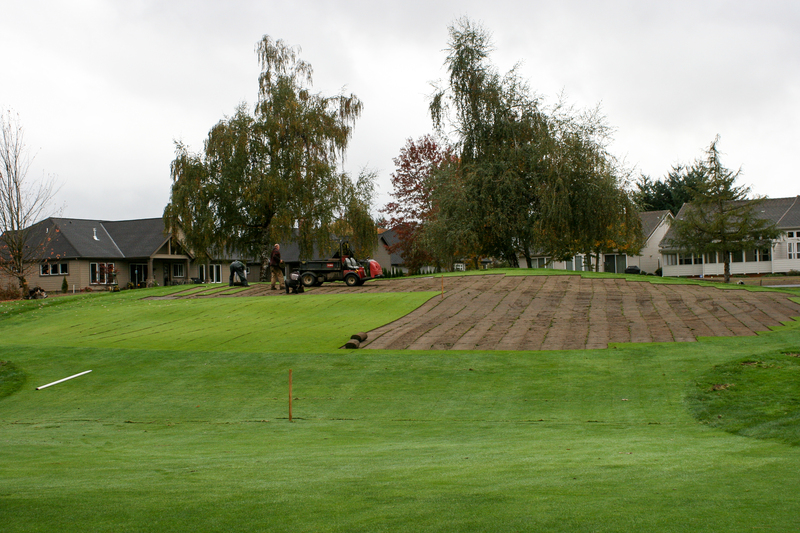 The green featured a sharp slope from back to front, and only two-plus pinnable locations because of that slope. Note high back upper right, and sharp drop-off lower right. Scott Larsen made a schematic of No. 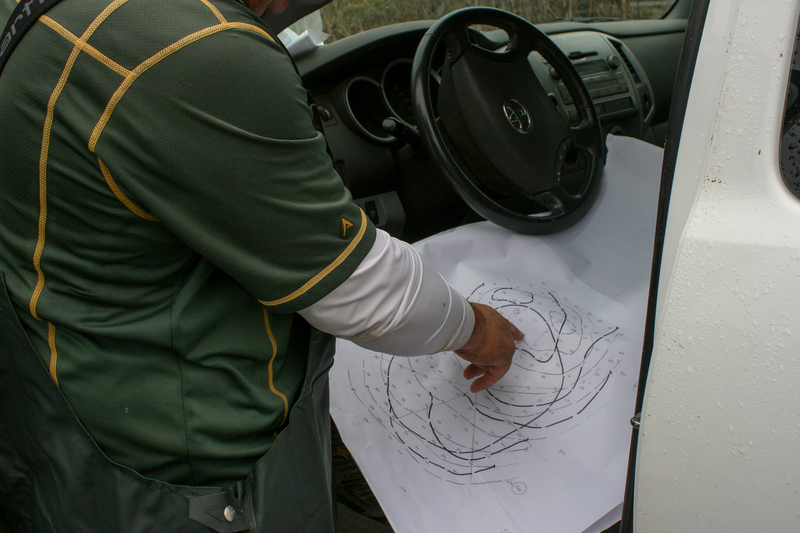 4 green to map out the remodeling project. On Oct. 19, the remodeling of No. 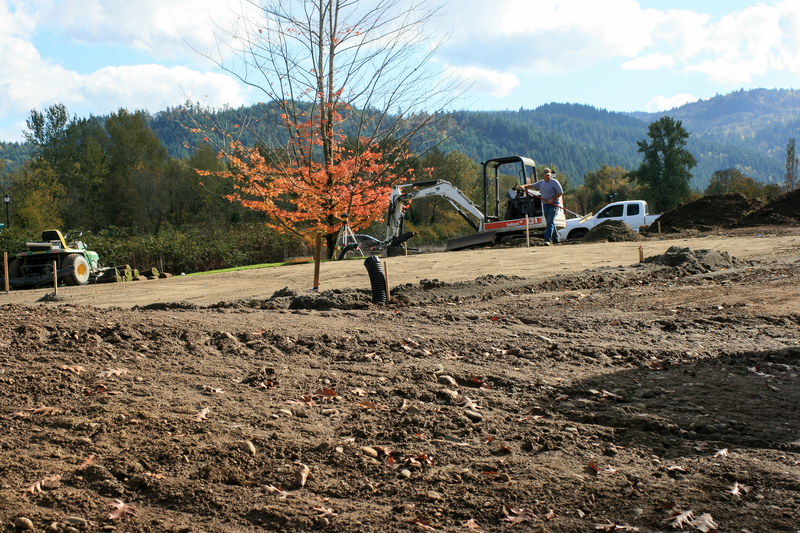 4 at Emerald Valley began with stripping sod and moving it to a nearby site to preserve it during the process. 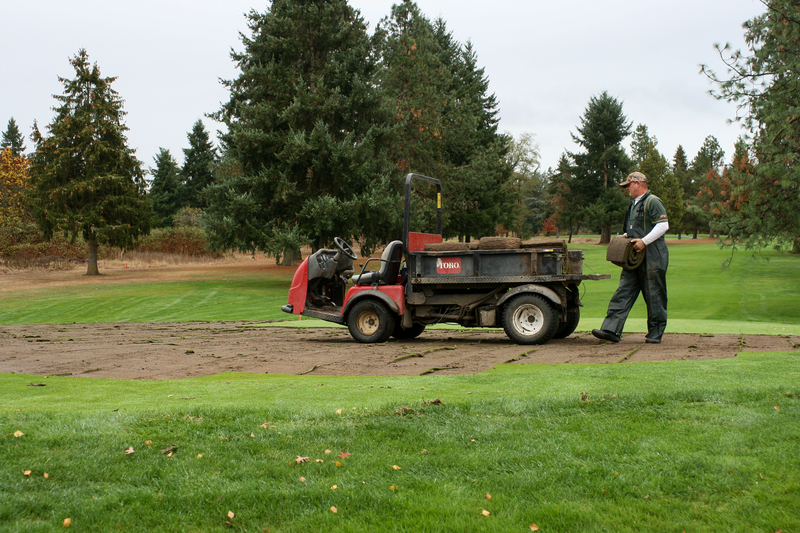 On Day 1 of the project, EV superintendent Scott Larsen carries a roll of sod stripped from No. 4 at Emerald Valley. Day 2, work on the lowering the upper portion of No. 4. 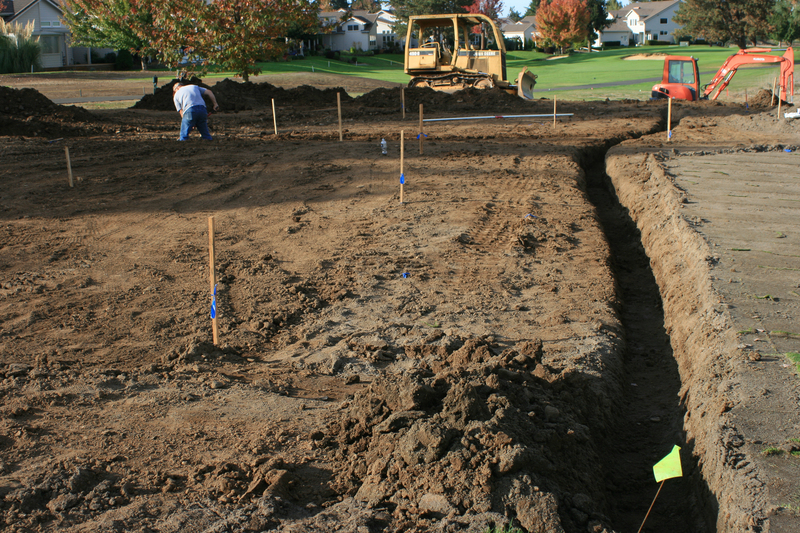 On Day 4 of the project, Oct. 22, Scott Larsen continues work on the upper portion of No. 4 at Emerald Valley. 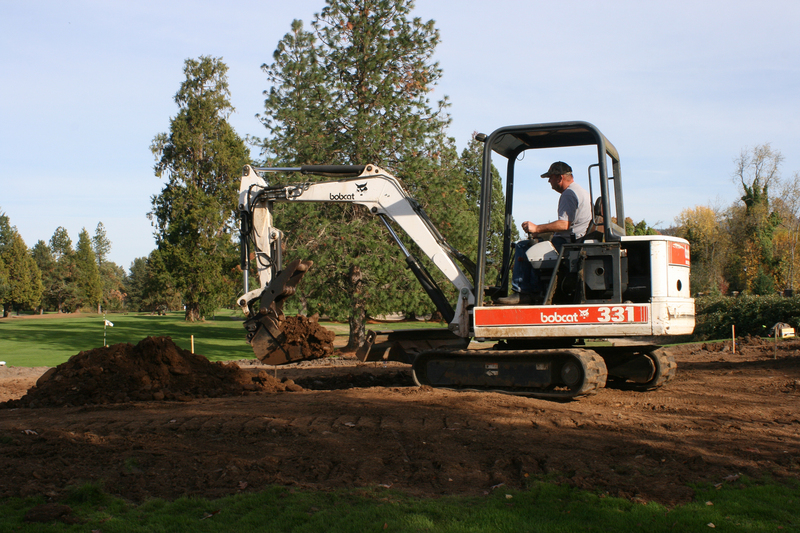 On Day 4, Oct. 22, EV superintendent Scott Larsen shovels out a trench for drainage. 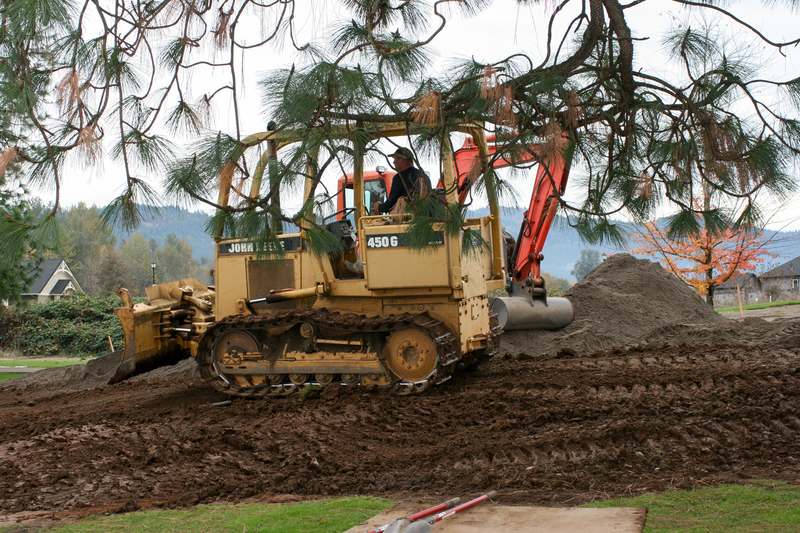 On Day 6, Oct. 24, EV superintendent Scott Larsen works on building up the lower right side of No. 4 at Emerald Valley to provide a potential pin location. 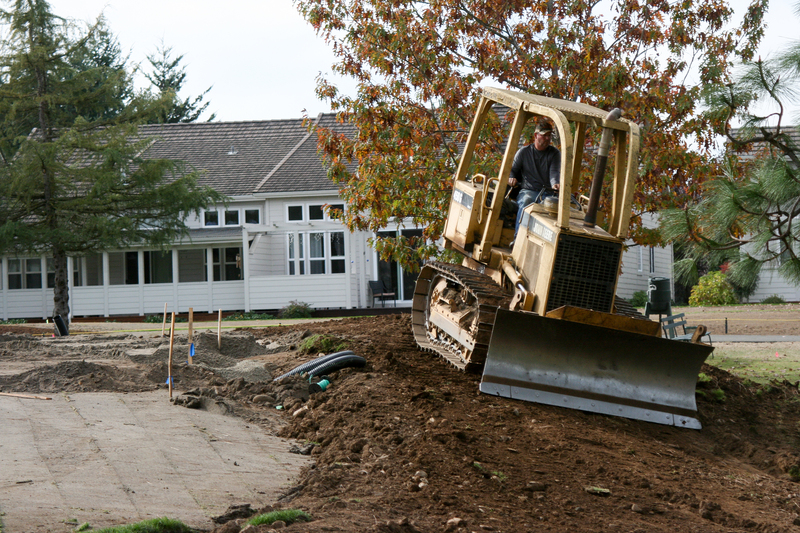 On Day 6, Oct. 24, EV superintendent Scott Larsen works on building up the foundation to raise the lower right side of No. 4 green. Progress in a week: At the end of Day 6, Oct. 24, with temporary flag in front, the hole has been lowered at the back, and work on the lower right continues at No. 4 at Emerald Valley. EV superintendent Scott Larsen rakes the upper left portion of No. 4 as the makeover of the green begins its second week on Day 8, Monday, Oct. 26. 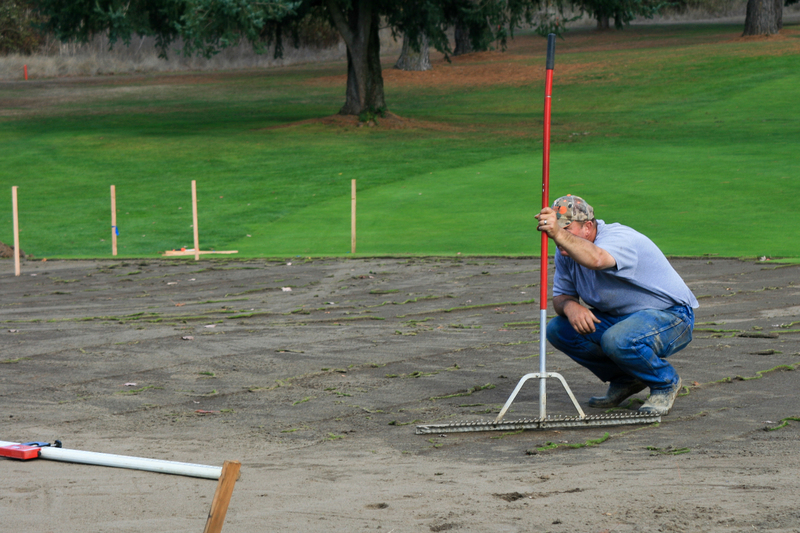 Superintendent Scott Larsen studies the makeover of the No. 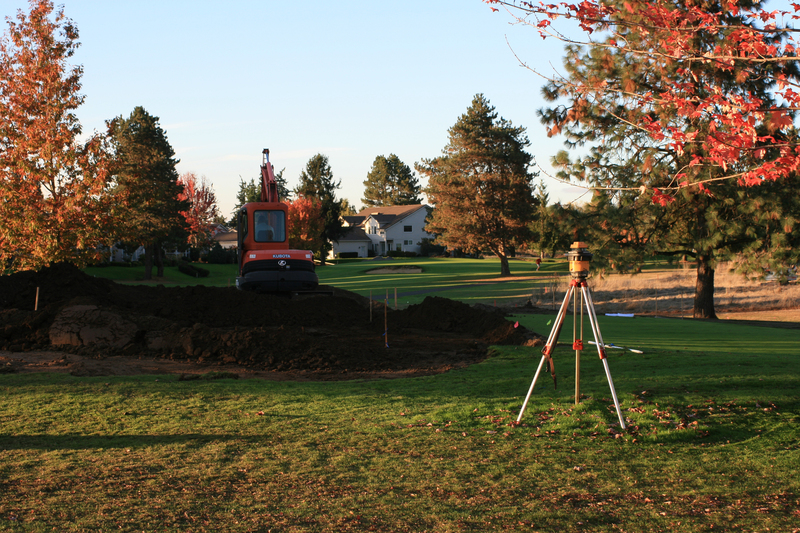 4 green at Emerald Valley Golf & Resort on Day 8 of the project, Monday, Oct. 26. 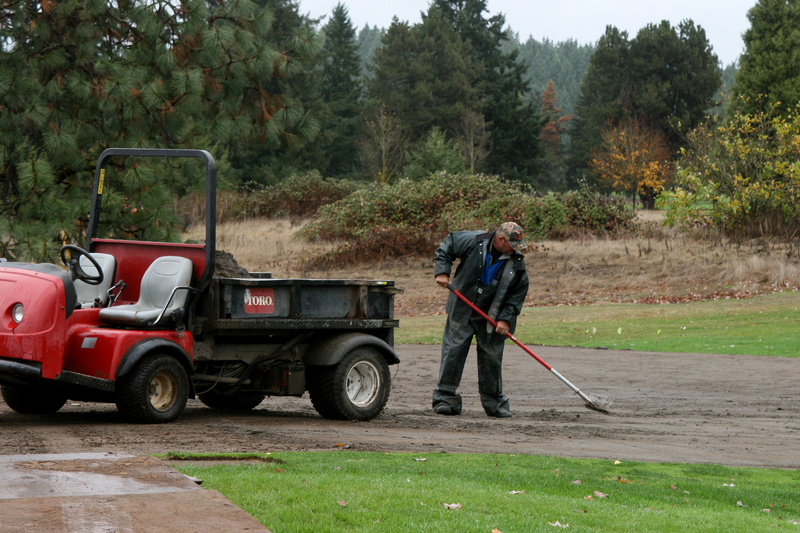 On Day 9, Oct. 27, EV superintendent Scott Larsen works on the right side of the No. 4 green at Emerald Valley. 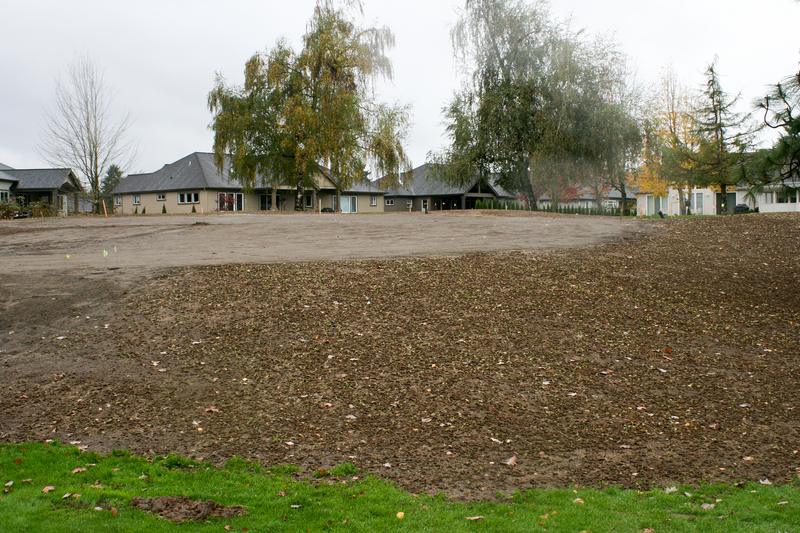 Day 10, Oct. 28, the sand/soil mixture has been spread to the lower left side of No. 4 green at Emerald Valley. View looking back down the fairway from behind the No. 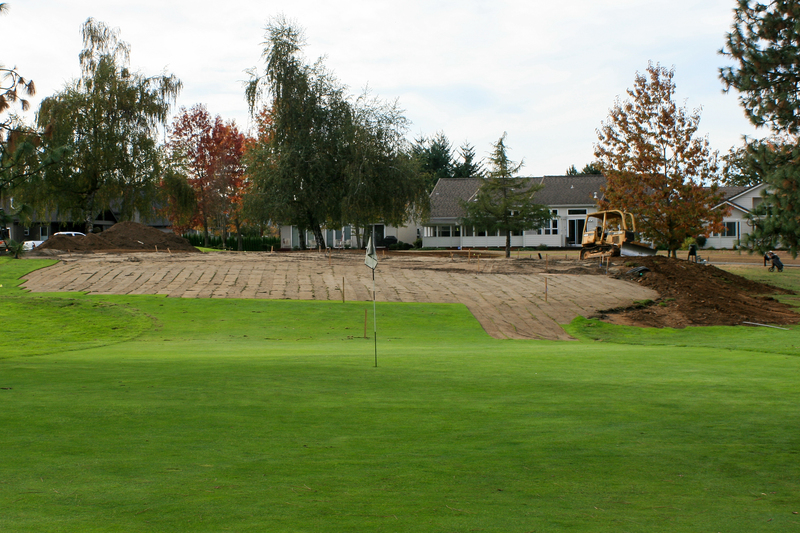 4 green at Emerald Valley on Day 10 of the makeover, Oct. 28. Day 11, Oct. 29; No. 4 makeover shows some buildup of front left corner of green, plus smoothing of front right. A major part of the makeover of No. 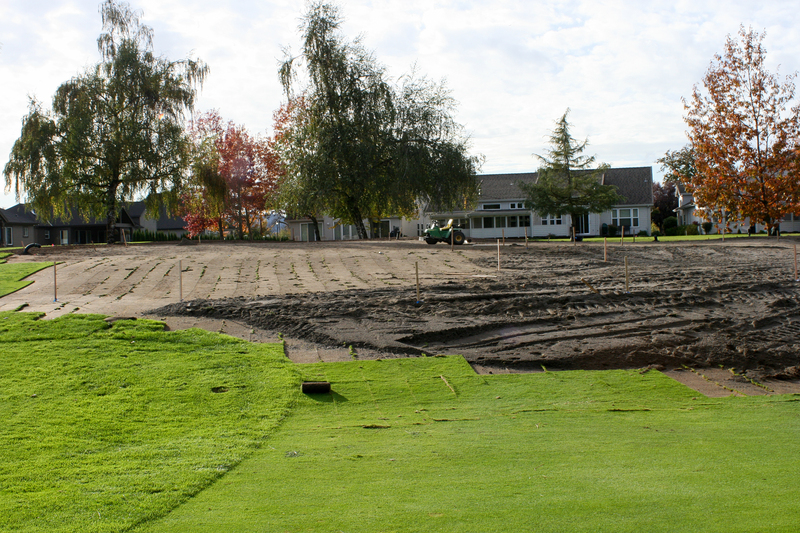 4 green has been work on the lower right side, building it up and leveling enough for pin positions there; as of Nov. 1, Day 14 of the project, the collar has been seeded and plugged. On a rainy Sunday, Nov. 1, Day 14 of the makeover of No. 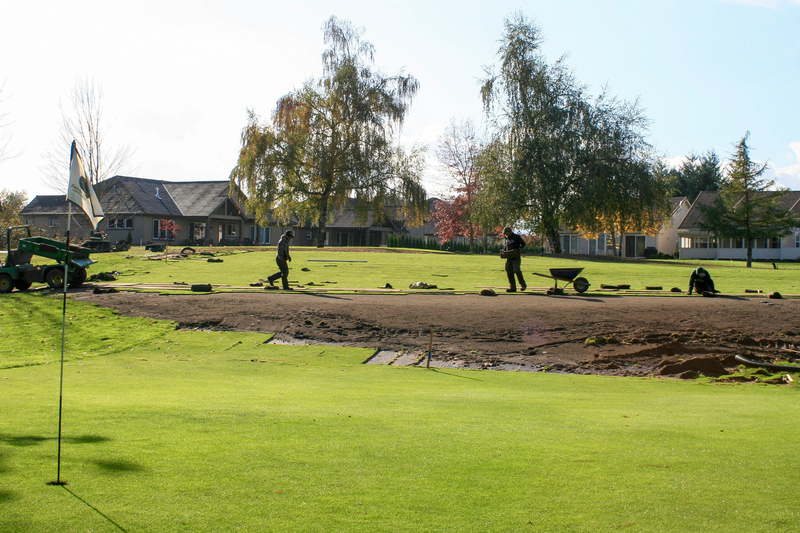 4 green, EV superintendent Scott Larsen smooths a sand-soil mixture (three parts sand to soil) to prepare for sod being replaced the following day. 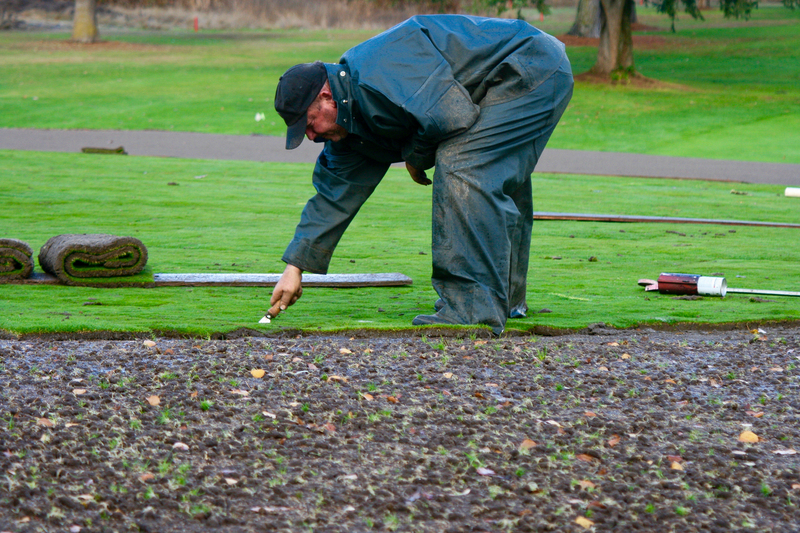 On Monday, Nov. 2, Day 15 of the project, superintendent Scott Larsen trims the border of the sod that has been replaced on No. 4 green at Emerald Valley. 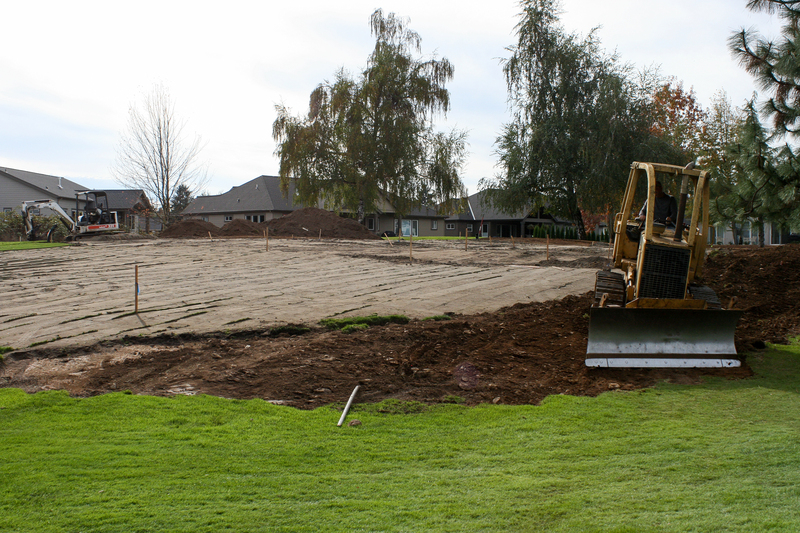 On Day 15 of the project, workers restore sod to over half of No. 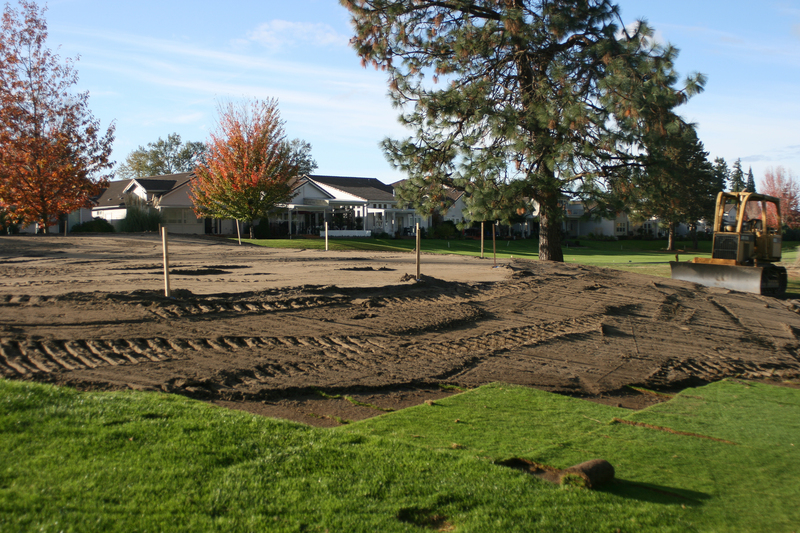 4 green, from the nearby area where the sod was laid out on tarps. Recent rain made the rolls of sod heavy to handle. 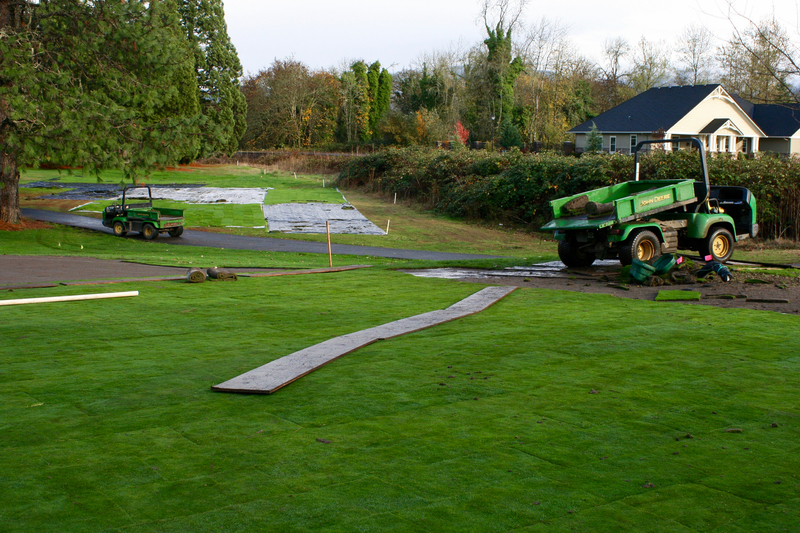 As the final rolls of sod are returned to No. 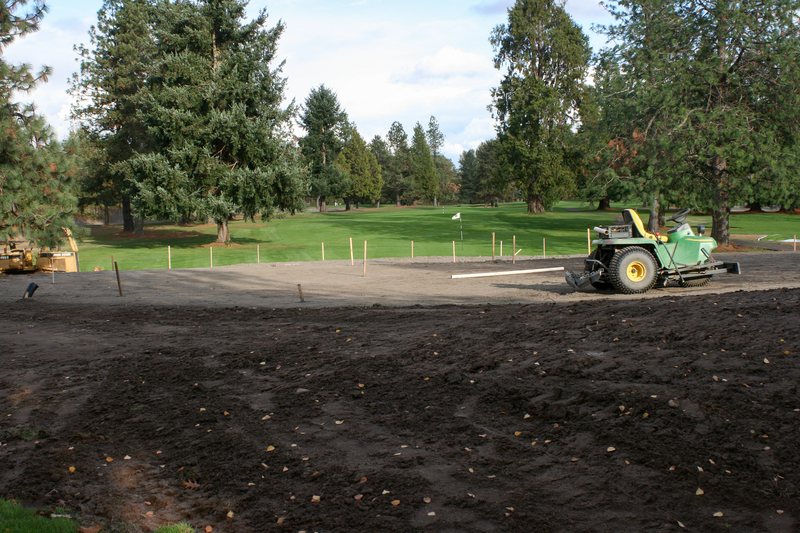 4 green at Emerald Valley, on Day 16 of the project, Nov. 3, the shape of the remodeled green is apparent, showing a green that still has significant slope and is "still No. 4," in the words of supt. Scott Larsen. 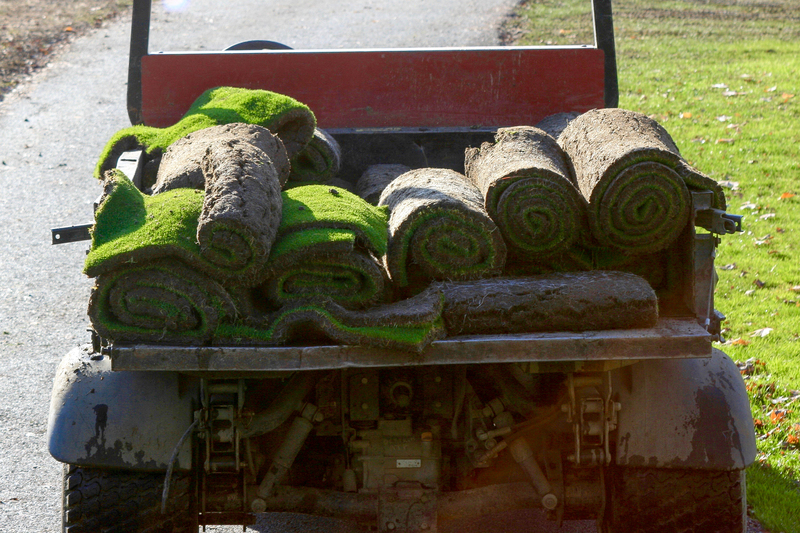 Rolls of sod, which will be replaced on the No. 4 green at Emerald Valley.